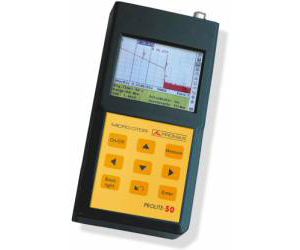 The PROLITE-50 series are optical fault locating and analyzing tools for optical fibre networks.These hand-held tools are compact, lightweight, easy-to-use, intelligent, and quick testing. The Large LCD display and backlight design makes testing work more comfortable and convenient, whether used during the day or at night. As a fault locating and analyzing tool the PROLITE-50 ia easier to use, smaller, and more economical than similar equipment in its class. Besides, the PROLITE-50 can save and transfer the measurement curves data to a PC - using the provided software - for further analysis, reporting, and printing.